Mahindra has been at the top for its range of vehicles. It has already introduced a wide range of cars including both sedan and hatchback. The latest news about Mahindra cars is that its newest model, Vibe, which is a sub-4 meter version of Mahindra’s sedan vehicle, Verito, will be released into the competitive world of hatchback vehicles. Vibe was spotted testing on several occasions and several spy shots of the vehicle are now available in the cyber world. It has a unique C-Pillar design due to which it has been facing several criticisms. However, due to its eminent design, it resembles a notchback than a hatchback vehicle which would make it more prepared to face tough competitions among the different hatchback vehicles in market. There are several high quality Mahindra Verito Vibe pictures available on the Internet that were clicked while its commercial ad was being shot in Bengaluru. 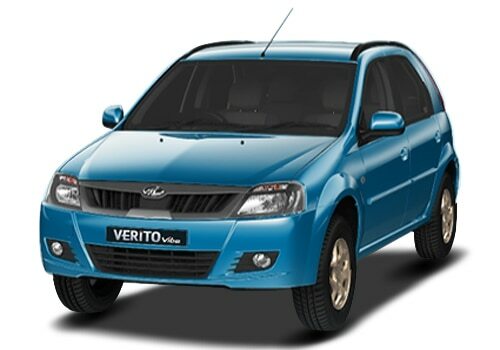 Some of the visible Mahindra Verito Vibe features like rear exhaust with chrome treatment, alloy wheels and many other features make it appear to be an upmarket vehicle. On close inspection, we find that the major variations in the design of the Acrylic Blue Mahindra Verito Vibe are done to its boot. The rear tail lights of the car are situated on the boot rather than on the pillars. The vehicle is closely designed like the sedan version of Verito. The front fascia of the vehicle is identical to the Verito sedan. A rugged look is offered to the vehicle by sporting a black roof tail onto the car. The interiors of the vehicle are almost similar to the sedan version of Verito. The vehicle will be made available in various colors for the interiors. The Mahindra Verito Vibe will come with a 1.5 liter K9K oil burner, as in the Verito Sedan. The vehicle’s engine would be available mated to a 5-speed gearbox that is manual. The vehicle will be known for its fuel efficiency, reliability and performance. Its price is likely to hover around Rs. 5 lakhs. It is expected to be available only in the diesel version. The vehicle is expected to be launched in a month’s time.